In 1877, Thomas Edison invented the world’s first practical sound recorder; it was a cylindrical mechanical phonograph machine. However, the earliest known voice was recorded somewhere around 1853. Since then, voice recorders have come a long way. When advancements in electronics were made, voice recorders became digital and thus, easier to use, manage, and organize. Digital speech recorders are utilized by people in many different industries such as in healthcare organizations and law firms. They are used to record dictations, lectures, and personal memos pertaining to patients and legal cases. The recordings are then later used for carrying out transcriptions. When you are about to buy a voice recorder, there are certain things that must be taken into account. 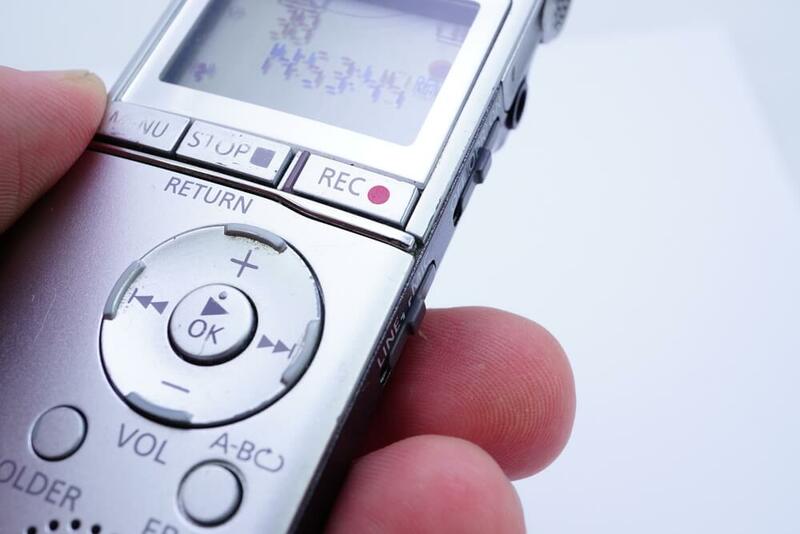 Learn how to choose a voice recorder below. Voice recorders are small, portable devices. Some of them are larger than others, but they offer more features and functionalities. Therefore, it’s important to select a recorder that is easy and convenient to carry around. Remember that you will also be carrying your smartphone with you along with other handheld devices like tablets, so you need a recorder that can fit in your pocket. The weight and size of the recorder can be determined by deducing the required functionality. If you simply need to record events, go for a small recorder; however, if you need more accessories and extra options, it’s better to purchase a large recorder. Digital speech recorders store audio files in a digital format either in an internal storage element or in external, removable memory cards. Again, this depends on your particular requirements. Always choose one that offers a decent amount of memory for the task you wish to accomplish; you don’t want to run out of memory in the middle of recording an important conference, meeting or lecture. In the market, you will come across high-end voice recorders that will provide you with the most optimum sound quality. Furthermore, they have advanced features such as editing functions. In other words, they will be similar to mini recording studios. However, they are expensive and if you need to simply record voice for transcription later on, a simple voice recorder would suffice. Although the built-in microphones offer good quality sound, it can be enhanced by using an external microphone attached to the recorder. When scouting for the perfect voice recorder to fulfill your needs, you shouldn’t ignore the recorder’s compatibility with other electronic devices like computers. Their operating systems also need to be considered. This is because sometimes, the built-in software of a recorder can be incompatible with the operating system of a computer, thereby preventing you from transferring your vital audio files. Although many of the digital voice recorders available in the market are compatible with Mac and Windows-based operating systems, they need to be checked thoroughly for compatibility before making the final purchase.